It’s unclear when Ford will make the 2020 Ford Explorer official, but spy photographers were in the right place at the right time. New photos show the 2020 Explorer completely uncovered in police-vehicle guise in Dearborn, Michigan. From the pictures, we’re finally able to see what design changes the automaker has in store for the popular full-size crossover SUV. And it’s clear Ford will take an evolutionary approach with the exterior. At the front, a set of sleeker headlights is present that lead into a mesh grille and restyled LED running lights. The fascia’s overall look is very similar to the current Explorer. Looking over the side profile, sleek and sharp is the name of the game. The greenhouse appears tighter and designers have reworked the C- and D-pillars for a more aggressive angle. A design crease also runs with the door handle for added character. Following the overall SUV design trend, the rear tailgate moves away from a bulbous look and instead looks squared off and chiseled. The taillights, again, are incredibly similar to the current model’s units. The 2020 Explorer will ride on Ford’s CD6 architecture and move to a rear-wheel drive layout with optional all-wheel drive. The platform will also underpin the Lincoln Aviator and potentially the seventh-generation Ford Mustang. As for power, Ford Authority expects a 3.3L V6 making around 300 horsepower will serve as a base engine, while the 2.3L and 3.0L EcoBoost engines serve throughout the trim hierarchy. Hybrid and plug-in hybrid options are all-but-confirmed. Also look for the 2020 Explorer to grow in size by about 10 inches overall. Ford said the next-generation model will, in turn, provide greater cabin and cargo space. 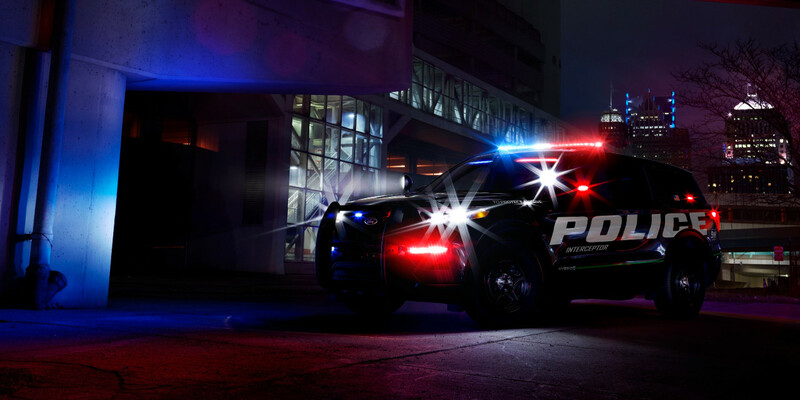 As for the Explorer Police Interceptor Utility Vehicle itself, the crossover SUV will feature a hybrid powertrain to return an estimated 24 MPG combined. The figure is up 40 percent from the current Explorer PPV’s fuel economy rating. Ford previously said the 2020 Ford Explorer PPV Hybrid will go on sale in summer of 2019 and there’s a good chance the civilian model will launch around the same time.